might now want her to reveal the truth. C.L. Gaber is a well-known entertainment journalist, syndicated worldwide through the New York Times Syndicate. She also interviews A-listers from Jennifer Lawrence to Robert Pattinson for the Chicago Sun-Times. out of nowhere might be the best present fate can ever hand you. I actually enjoyed this mystery for young adults. But, I’m pretty sure all the moms out there would love it too. Plus, you could see what your children are reading. The best part was that I couldn’t figure out the ending. I definitely wouldn’t mind reading more about the “Drew-id’s” Adventures. I could definitely see myself hanging out with this crowd. They stood up for each other no matter what. I think everyone needs friends that will have your back. Life is hard as it is and friends definitely come in handy during stressful times. This book is definitely a page turner. 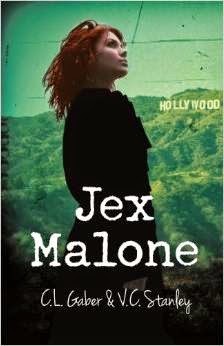 Jex Malone struggled with real life situations that I’m sure some may (unfortunately) have to deal with. But, it may help one to deal with their unfortunate circumstances. Luckily, my dad was always there for me and even took me on little “outings.” And there is a little romance in the air… I guess you will have to read it to find out what happens. Overall, I recommend this book to young adults as well as parents. It was highly entertaining to read.